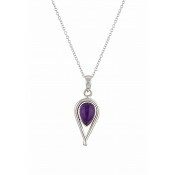 With its simplistic design, this charming sterling silver pendant is sure to find it's way into your style more times than not. 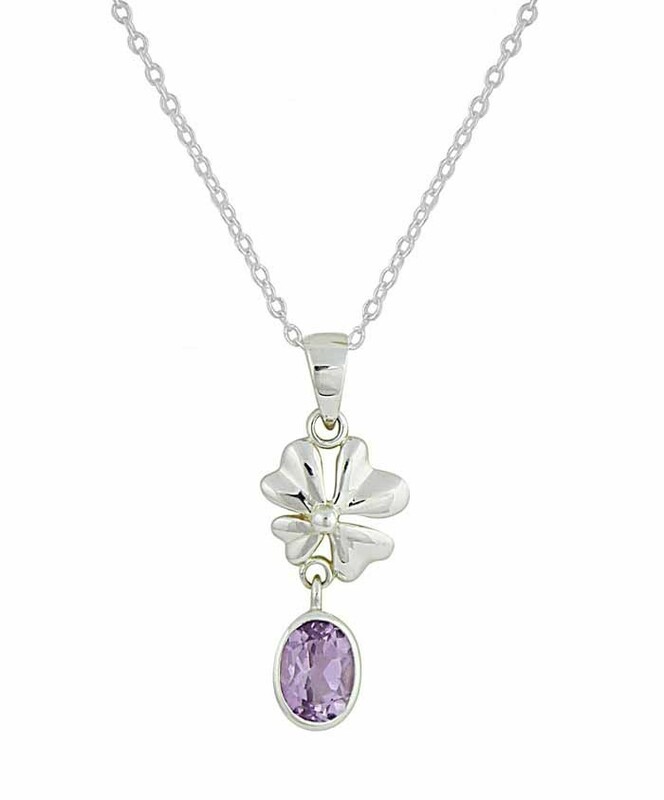 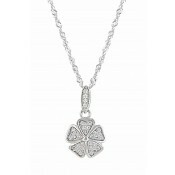 The four petal flower charm gently holds on to an oval Amethyst bead. 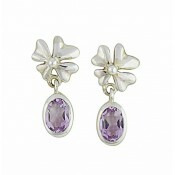 A pop of feminine colour that sits flush to the neckline and embraces timeless elegance.